To rehab the former Hayden High School, the only historic African American high school located in rural Franklin, VA, into 27 Senior housing units and commercial space that will be occupied by Senior Services of Southeast Virginia, the regional organization in South Hampton Roads that supports and enriches the lives of seniors and their families through advocacy, education, information and comprehensive services. 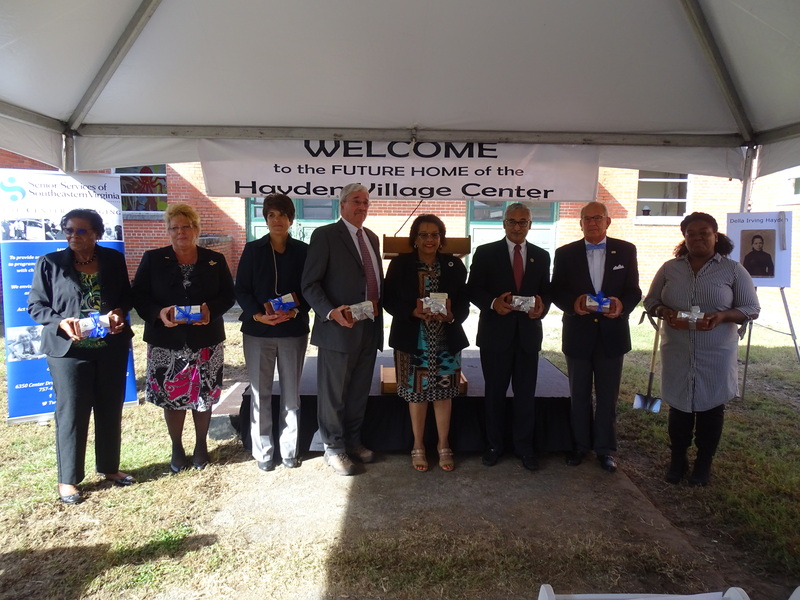 The completed Hayden Village Center will include a number of community services for seniors, pre-school age children, and youth all under one roof. The adaptive rehabilitation project will break ground this fall. The first phase will cost $5.5 million and is expected to generate 45 new and permanent part-time and full-time jobs when completed. Hayden High School served African American youth in Franklin from 1953 until 1970. The school was named after Della I. Hayden, born into slavery and an 1877 Hampton University graduate who founded a private boarding school for African American girls in 1904. She served as principal of the school (Franklin Normal School) until her death in 1924. Subsequently, the building operated as a high school and then a middle school. It is owned by the City of Franklin and has been closed since 1986. The property is an important site in the fight over both equalization and desegregation of public schools. The school was added to the National Register of Historic Places in 2013. It is Della’s spirit for learning, teaching and community that will be memorialized in the Hayden Village Center. As a Community Development Financial Institution (CDFI), VCC can support projects like Hayden Village because they align with VCC’s mission to create jobs, energize places, and foster an enhanced quality of life. The projects VCC backs are sometimes considered “too complicated” from the broader financial community, and Hayden Village is no exception. Funding the project took creativity and innovative thinking to package the financing to include historic tax credits. Learn more about our Real Estate Lending.